XL Modeling has been in the Internet community since 1997. During the past several years, we have developed many Excel VBA models in the academic fields and have helped many students and professionals in learning Excel VBA modeling in finance and statistic through our VBA source code tutorials. 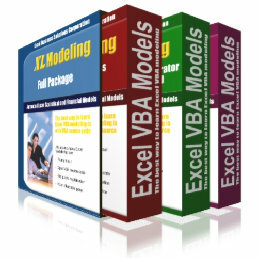 As of today, XL Modeling continues to strive to provide the best and most affordable learning tools in advanced Excel VBA modeling in finance, statistics, and mathematics. We provide several learning packages with Excel VBA programs that are ready to run. The source code of these Excel files is unprotected for learning purposes. They can be purchased at a very affordable price. For more information, please go to the Products section on this site. Users can learn from the source codes.